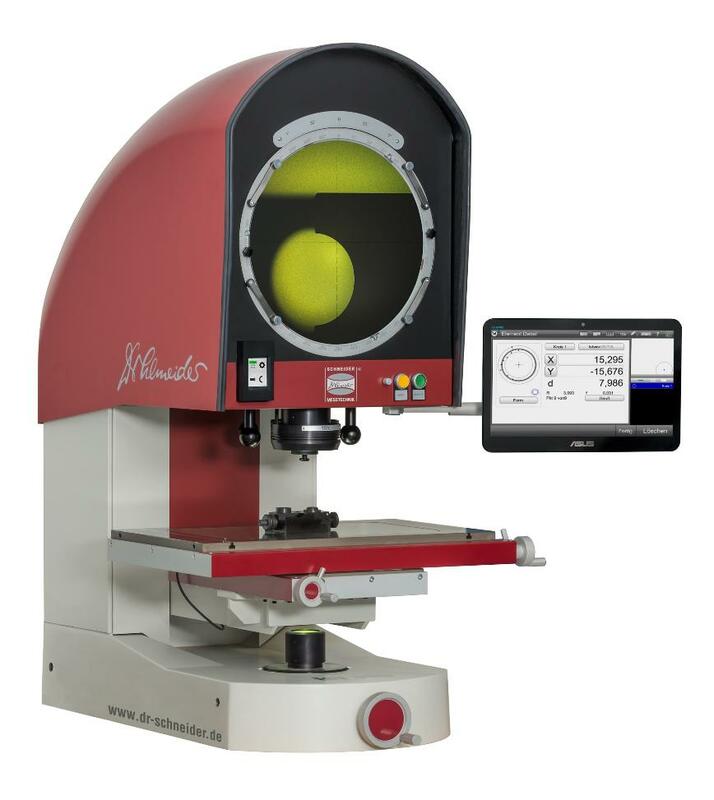 State-of-the-art measurement projectors developed by Dr. Heinrich Schneider Messtechnik have earned an outstanding reputation in the world of metrology, setting new standards in terms of accuracy and precision. Designed with consistently high quality, Schneider devices have shown their excellence innumerable times over the past decades. Since speed and precision are key on the shop fl oor and in the measuring room, the well-conceived rigid design of the projectors’ physical structure makes a winning team with their robust functional architecture, which is supported by the M2 measurement software (installed as a standard on a tablet PC) and by a high-precision edge sensor. All projectors have been designed to provide easy and intuitive operation to a broad range of users. Since the devices allow measurement operations to be performed in close proximity to the manufacturing area, effi ciency is maximised whilst non-productive times are greatly reduced. What better way could there be to save time and money?